Eleanor Mitchell, Director of Library Services at Dickinson College in Carlisle, Pennsylvania, and Sarah B. Watstein, Dean, Lemieux Library and McGoldrick Learning Commons of Seattle University were selected as the 2018 winners of the Isadore Gilbert Mudge Award, the Reference and User Services Association’s highest honor. For the past thirteen years Ms. Mitchell and Ms. Watstein have served as co-editors of Reference Services Review. Through their collaboration they have combined their strengths of knowledge and experience about reference service and user instruction to deliver critically vetted and carefully edited articles on the major strains of reference work. They have taken a strong journal and developed it into an exemplary venue for sharing ideas about the complex nexus of information sources, information discovery and delivery systems, information professionals and library users. Under their editorship they have transformed the journal into one of the most respected in the field of reference librarianship. Eleanor Mitchell is a nationally known authority on information literacy and instruction issues in library services, which was a major focus of her work as Head of the Undergraduate Library at UCLA. She has demonstrated her engagement with this issue through publications and conference presentations. As the Director of Library Services at Dickinson College , she has continued to advocate for the integral role of information literacy in the curriculum as one of the complex challenges of contemporary reference services. She addresses these issues in her book Reviewing the Academic Library: A Guide to Self-Study and External Review co-authored in 2015 with Peggy Seiden. Sarah Watstein is a prolific author of books, articles, and conference presentations on topics such as the role of artificial intelligence systems, how our spaces affect our services, how to revolutionize reference service delivery and the statistical evaluation of reference service. Her award winning AIDS Dictionary (1998) co-authored with Karen Chandler and The Encyclopedia of HIV/AIDS (2003) co-authored with Stephen Stratton, responded to the world’s need for timely, authoritative information about one of its major public health crises. Through their individual work and their synergistic work as co-editors of one of the profession’s leading journals, Mitchell and Watstein continue the legacy of scholar librarians begun by Isadore Gilbert Mudge at Columbia University so many years ago. Portrait, Isadore Gilbert Mudge, dated April 1897 and “circa 1932”, Historical Photograph Collection, Rare Book & Manuscript Library, Columbia University in the City of New York. During her career, which started in 1903 and concluded in 1941, Isadore Gilbert Mudge increased student independence in research and improved reference collections with several specific types of sources, including dictionaries, encyclopedias, and atlases, among others. 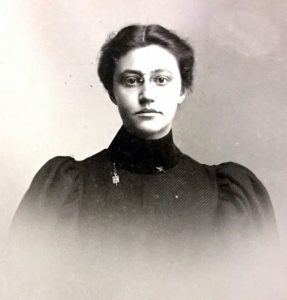 A pioneer in reference librarianship, she coined the phrase “material, mind, and method” to describe her reference philosophy when she began teaching the class “Bibliography and Bibliographic Methods” as an associate professor at Columbia’s School of Library Services. Sponsored by Credo Reference, the award consists of $5,000 and a citation to an individual (or individuals) that has made a distinguished contribution to reference librarianship. The awards will be presented to both winners at RUSA’s President’s Program, featuring Dr. Carla Hayden, Librarian of Congress, on Saturday, June 23 at ALA’s Annual Conference in New Orleans. 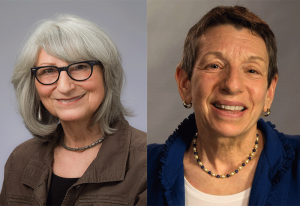 Additionally, on July 18, RUSA will host a free, moderated webinar to feature a Q&A with the winners to learn of their outstanding legacies and contributions to librarianship. The Isadore Gilbert Mudge Award selection committee includes: Brian E. Coutts (Chair), M. Kathleen Kern, Paula Pergament, Joseph A. Thompson, Jr. and Kathi Woodward. One Response to "Mitchell, Watstein awarded Isadore Gilbert Mudge Award"